Russian engineer cosmonaut 1966-1971. 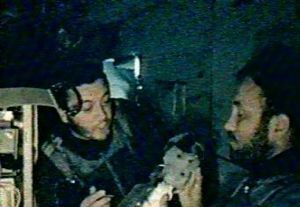 Member of first space station crew, however perished during landing. From 1958 a civilian engineer, Korolev OKB, involved in the development of the Vostok and Voskhod spacecraft. Status: Deceased; Active 1966-1971. Born: 1935-11-23. Died: 1971-06-30. Spaceflights: 2 . Total time in space: 28.71 days. Birth Place: Moscow. Graduated from Moscow Air Force Institute, 1959. Pilot and parachutist. Call sign: Donbass (Donbass - River Don basin). Family: Cosmonaut. Country: Russia. Flights: Soyuz s/n 15+16, Soyuz 7, Soyuz 10, Soyuz 11. Projects: Salyut. Agency: Korolev bureau. Bibliography: 4452, 6159. 1935 November 23 - . Birth of Vladislav Nikolayevich Volkov - . Nation: Russia. Related Persons: Volkov. Russian engineer cosmonaut 1966-1971. Member of first space station crew, however perished during landing. 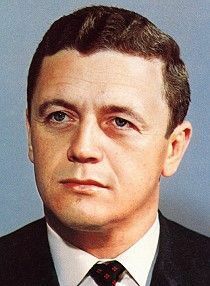 From 1958 a civilian engineer, Korolev OKB, involved in the development of the Vostok and Voskhod spacecraft. 2 spaceflights, 28.7 days in space. Flew to orbit on Soyuz 7 (1969), Soyuz 11. 1966 May 23 - . Energia Engineer Cosmonaut Training Group 1 selected. - . Nation: Russia. Related Persons: Anokhin, Bugrov, Dolgopolov, Grechko, Kubasov, Makarov, Volkov, Yeliseyev. 1966 August 3 - . Sea tests of Soyuz - . Nation: Russia. Related Persons: Anokhin, Brezhnev, Gagarin, Kubasov, Mishin, Smirnov, Ustinov, Volkov, Yeliseyev. Program: Soyuz. Flight: Soyuz 1, Soyuz 2A, Soyuz s/n 3/4. Spacecraft Bus: Soyuz. Spacecraft: Soyuz 7K-OK.
Mishin sends a letter to Kamanin, linking acceptance of his eight cosmonaut candidates from OKB-1 to continuation of sea recovery tests of the Soyuz capsule at Fedosiya. Kamanin's early hopes for Mishin have been dashed - not only is he no Korolev, but his erratic management style and constant attempts to work outside of accepted channels and methods, are ruining the space program. Later Gagarin briefs Kamanin on the impossibility of meeting Brezhnev, who has flown south for vacation without reacting to Gagarin's letter. Most likely, the letter will be referred to Ustinov, who will pass it to Smirnov, with instructions to suppress this "revolt of the military". Gagarin requests permission to resume flight and parachute training in preparation for a space mission assignment. Kamanin agrees to allow him to begin three months before the mission to space. This will be no earlier than 1967, as Gagarin will not be assigned to the first Soyuz flights. Kamanin decides to smooth over matters with OKB-1. He calls Mishin, and then Tsybin, and agrees to begin processing of Anokhin, Yeliseyev, Volkov, and Kubasov as soon as he receives their personnel files and security clearances. Mishin promises to deliver the Soyuz mock-up of the Tu-104 zero-G aircraft soon - it slid from 20 July, then from 7 August. 1966 September 5 - . OKB-1 cosmonauts accepted for training. - . Nation: Russia. Related Persons: Dolgopolov, Grechko, Kubasov, Makarov, Volkov, Yeliseyev. Program: Soyuz. Kubasov, Volkov, and Grechko have been accepted by the VVS for cosmonaut training, with some relaxation in health requirements. Yeliseyev, Dolgopolov and Makarov need more medical tests to be cleared. .
1966 November 11 - . Soyuz crew dispute drags on - . Nation: Russia. Related Persons: Kubasov, Makarov, Mishin, Volkov, Yeliseyev. Program: Soyuz. Flight: Soyuz 1, Soyuz 2A. Spacecraft Bus: Soyuz. Spacecraft: Soyuz 7K-OK.
Kamanin visits OKB-1. Mishin certifies that unmanned Soyuz s/n 1 and 2 will fly by 26 November, and the manned spacecraft s/n 3 and 4 by the end of December. The departure of cosmonauts for the range must take place not later than 12-15 December. There remains only 30 days for training of the crews, the member of which have still have not been agreed. Mishin ignores common sense and still insists on the preparation of only his own engineers (Yeliseyev, Kubasov, Volkov, Makarov). The argument over the Soyuz crews continues without resolution up to the Central Committee level, then back down through the VPK and State Commission, over the next week. Death of Vladislav Nikolayevich Volkov. Killed in cabin depressurization of Soyuz 11. - . Nation: Russia. Related Persons: Volkov.